Our director, Debra Marcoux, recently paid a visit to several of the galleries in our neighborhood to check out their current shows. Here's what's not to be missed in the current crop of Chelsea exhibits. 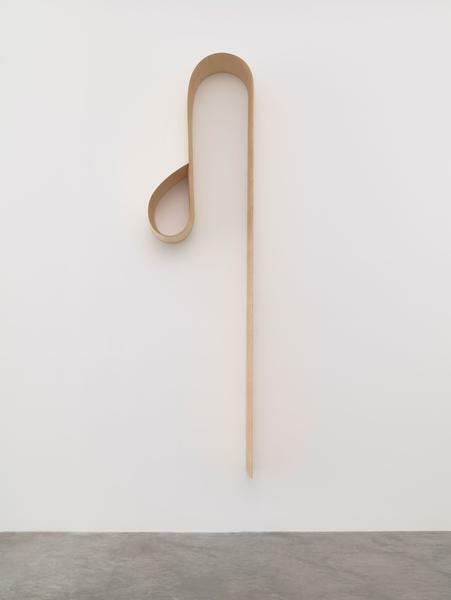 Two shows stood out from Zwirner's current exhibitions - Donald Judd, and Giorgio Morandi. Donald Judd's show is the first ever focused study of his work with Cor-ten steel, which was his primary material he produced with from 1989 to his death in 1994. The sculptures exhibited here illustrate Judd's essential concerns he explores in his work, such as color, form, and the relationship between surface and volume. His goal was to create pieces that are self-referential. The gallery shares a quote of his from 1968: "A shape, a volume, a color, a surface is something itself. It shouldn't be concealed as part of a fairly different whole." In the first major showing of his later work since a 2008 retrospective at the Metropolitan Museum of Art, this collection of paintings by Italian artist Giorgio Morandi demonstrates the techniques he explored that later had a profound influence on contemporary artists. His still life works are typically done in series, with subtle changes in color, compositions, scale, and tone from one piece to the next. Their simplicity, emphasis on geometry and space, and repetition contributed to the development of later movements like Minimalism, conceptual art, and the Light and Space movement. On display at Anton Kern is Jim Lambie's "Train in Vein." Lambie's background is in the music scene, which is evident in everything from the title of the show (a play on The Clash's song, "Train in Vain") to the bright, energetic sculptures inspired by punk rock that cover the gallery from floor to ceiling. The exhibit centers around "The Flying Scotsman," a train engine mounted on the wall that's borrowed from Lambie's center for the art and music scene in Glasgow, The Poetry Club. The other pieces throughout the show are similarly sourced from found materials - suticases, potato chip bags, books - in a nod to the DIY culture of the post-punk scene looking to celebrate things that are considered undesirable. According to Lambie, "These works don't want to create a new world into which we can escape, they want to bounce the world back to us, encouraging us to look at it again." Vibha Galhotra's "Absure -City -Pity -Dity" explores the complicated relationship of a community with India's Yamuna River, an ecosystem that is undergoing devestating environmental changes thanks to unregulated sewage dumping, quickly becoming one of the world's most contaminated rivers. The works include a dizzying tapestry of ghungroos (decorative bells worn on women's bodies in traditional Indian dance) arranged to depict a massive building that has recently been built along the shores of the river, and a collection of water samples Galhortra gathered every day for a year accompanied by transcriptions of her interactions with the villagers she met there. While the show is overall a meloncholic one, there is a bit of hope in the short film, Manthan, which translates the Hindu mythology of the gods churning the ocean to harvest the nectar of immortality into a romanticized imagining of the process of depleting the toxins from the Yahuma. "Be Strong Boquan" exhibits L.A artist Mark Bradford's ability to translate sociopolitical issues into exciting and intriguing multi-media art. The show includes both two-dimensional and three-dimensional mixed-media works, as well as video installation, all exploring themes relating to the AIDs epidemic, homophobia, and race. The work is also inspired by his memories of his youth, where he spent his days working in his mother's salon and his nights finding himself in L.A's club culture. It's a treat to see some of his latest work experimenting with collage, creating heavily layered pieces made up of newsprint, billboard papers, and merchant posters, which are then weathered or stripped away, bringing to mind photographs of cells or topography maps. "Be Strong Boquan" is on view until December 23rd, 2015. The New York gallery is located at 511 W 18th St.
Sheila Hicks work explores how far the boundaries of weaving can be stretched in her experimentation with form, material, and scale. Inspired by her travels throughout Central and South America, Hicks uses her background in fine arts to reimagine how textiles can be defined. Even her work with traditional materials - linen, wool, silk - plays with color and texture, but she'll also incorporate found objects like paper, metal, feathers, or shells. The exhibit also displays her range of scale, from the intimate "minimes" (framed weavings) to ambitious creations like the floor-to-ceiling "White River," a cascading wave of linen and PVC yarn. 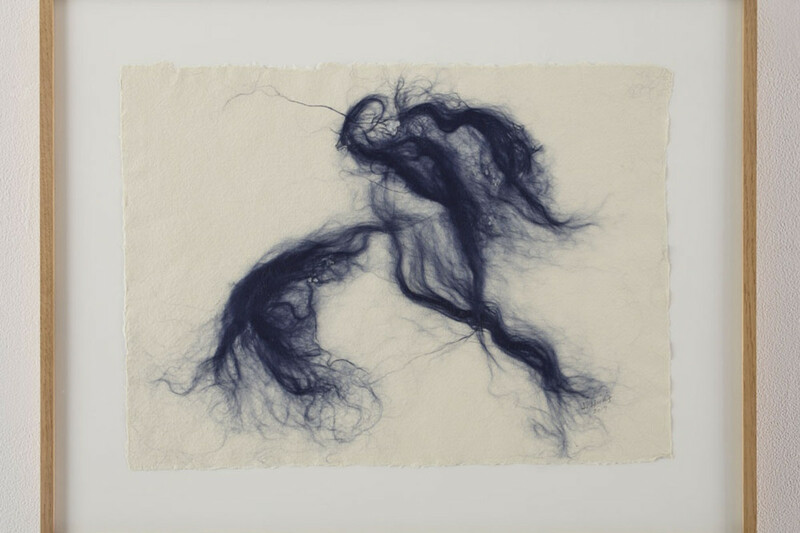 Hicks breaks the medium down even further with her Drawing With Fiber series, where she arranges raw fiber on the canvas as if it were brushstrokes, resulting in an ethereal presentation, stunning in its simplicity. Sheila Hicks will be on view at Sikkema Jenkins until November 28th. 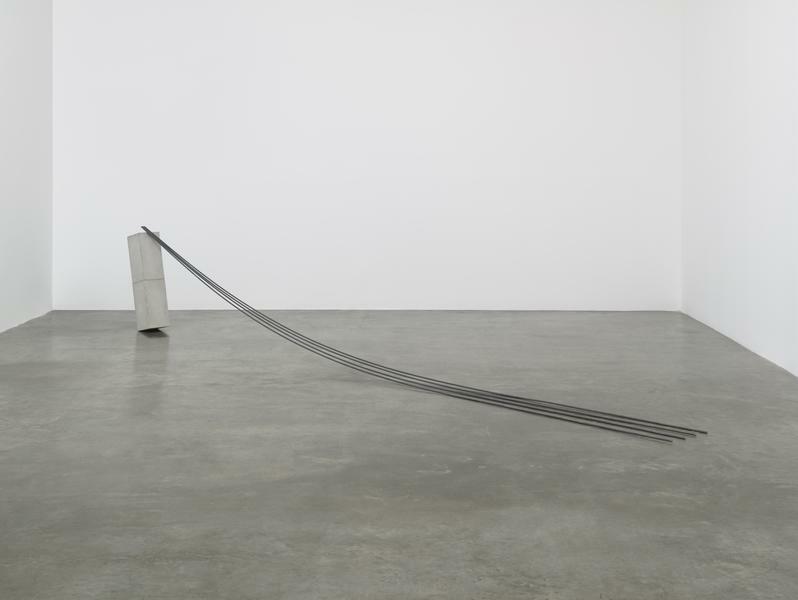 The gallery is located at 530 W 22nd St.
A group show at Matthew Marks brings together a variety of works. 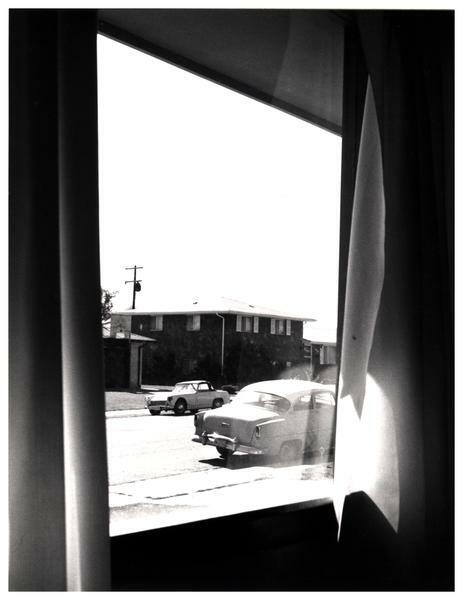 The pieces that caught our eye in particular were Robert Adams' stark photographs and the modernist sculpture of Martin Puryear, Robert Gober, and Charles Ray.